I must admit, I am not quite the peacemaker yet with others. I’ve yet to perfect the skills. I listen, observe, shut up, and keep to self, because people will make you go off on them with a clean and an unclean heart. Father, I pray to be a peacemaker. Let me find complete peace with you, in Jesus name. Amen. Being a Peacemaker: Simple…Maybe!! Easy…Not Always!! Worthwhile…No Doubt!! James 3:16-18-For where envying and strife is, there is confusion and every evil work. But the wisdom that is from above is first pure, then peaceable, gentle, and easy to be intreated, full of mercy and good fruits, without partiality, and without hypocrisy. 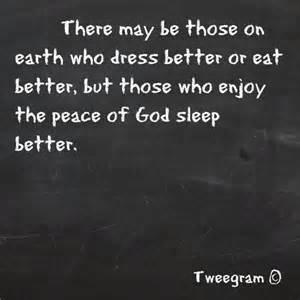 And the fruit of righteousness is sown in peace of them that make peace. 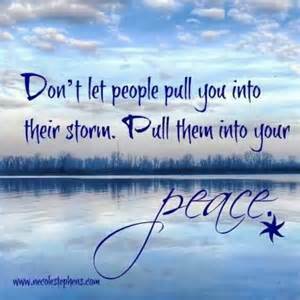 To be a peacemaker, know the peace that Jesus the Prince of Peace, brings. In this turmoil-filled world we live in, there is never true peace in a person’s heart until Jesus comes to reign in that person’s life. With the coming of Jesus, real peace becomes a possibility in our world. Christ is the ultimate peacemaker. We need to set aside our selfish ways that cause us and others unneeded demise and destruction in the world today. We should ask God for wisdom and except Jesus into our heart, mind and soul. REALIZE -the blood he shed flows in us to be peace-loving, sincere, caring, kind, forgiving, and always willing to serve. This is the spirit we should seek and the person we should express to others. Just think of the impact and effectiveness this would have in our society today. Take personal responsibility to become a peacemaker. With all that Jesus, the Prince of Peace went through; he maintained a peace-loving heart. Prayer: May my heart long for the simplicity of being a peacemaker, O Lord. May I live as a child of God and bring peace in a world overrun with unrest. Make me a channel of your peace. Where there is hatred, let me bring your love; where there is injury, your pardon Lord; and where there is doubt, true faith in you. In the name of Jesus, the Prince of Peace, I pray. Amen. Here are my wisdom scriptures to back up my belief that a peacemaker is one who finds peace with God. Don’t argue with me. Enjoy! Matthew 10:33-38-But whosoever shall deny me before men, him will I also deny before my Father which is in heaven. Think not that I am come to send peace on earth: I came not to send peace, but a sword. For I am come to set a man at variance against his father, and the daughter against her mother, and the daughter in law against her mother in law. And a man’s foes shall be they of his own household. He that loveth father or mother more than me is not worthy of me: and he that loveth son or daughter more than me is not worthy of me. And he that taketh not his cross, and followeth after me, is not worthy of me. John 16:32-33– Behold, the hour cometh, yea, is now come, that ye shall be scattered, every man to his own, and shall leave me alone: and yet I am not alone, because the Father is with me. These things I have spoken unto you, that in me ye might have peace. In the world ye shall have tribulation: but be of good cheer; I have overcome the world. John 20:19 -Then the same day at evening, being the first day of the week, when the doors were shut where the disciples were assembled for fear of the Jews, came Jesus and stood in the midst, and saith unto them, Peace be unto you.